Recently I have bought a good few makeup bits and pieces from brands I had never tried before and what better way to test them out then to create a makeup look with them all (along with a few old favourites also). I wasn't sure what direction this look was heading but I knew I wanted to focus on the dark lip trend. However I felt like the dark lip on its own might look a bit too 'gothic' which wasn't what I was going for! So I decided to also have a smokey eye along with a bronzed face! Once I saw the finished result I realised that I had definitely created a look more suited for an evening out rather than a walk in the park (mind you I actually had to go to the park with this look on & let's just say I got a few strange looks from parents in the playground). 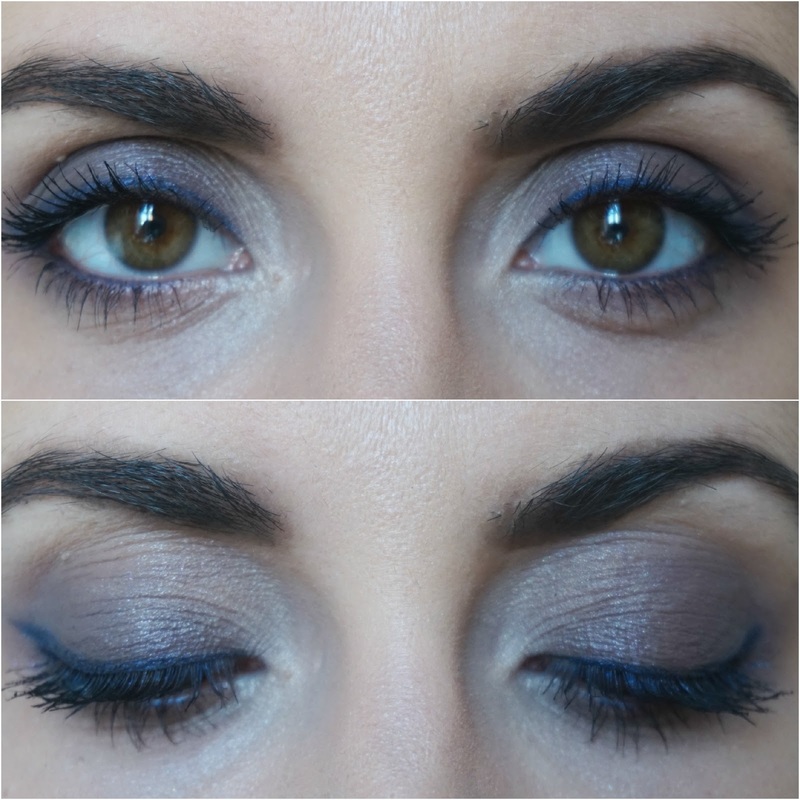 I applied the KIKO Water Eyeshadow in 228 Taupe as the base using the ZOEVA 234 Smoky Shader. Then I decided to apply shade 'Unforgivable' from the Makeup Revolution Chocolate Palette in the crease using the ZOEVA 231 Petit Crease. I then added shade 'Endorphins Ready!' 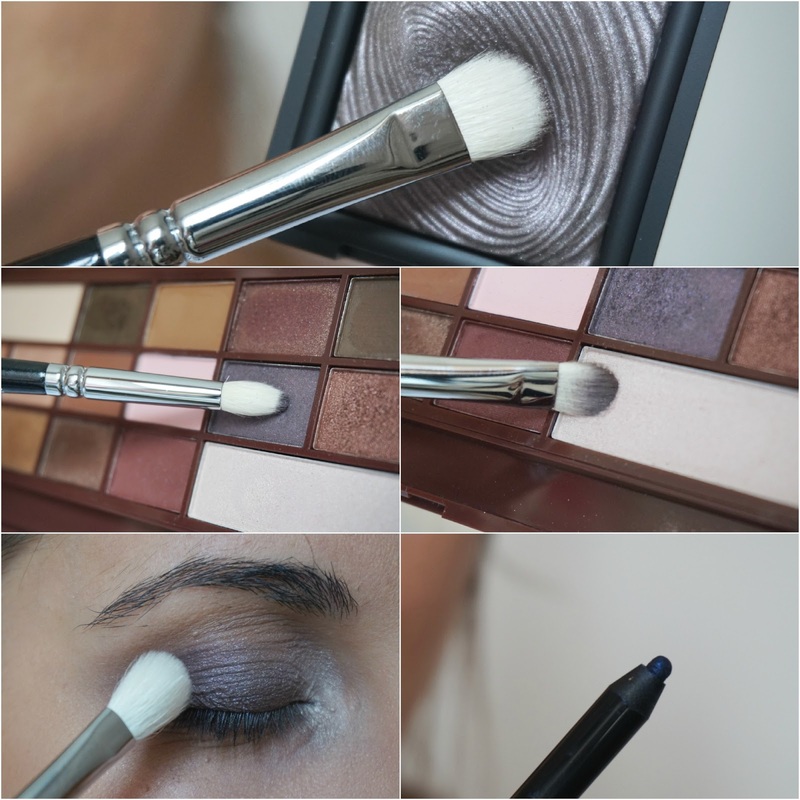 in the inner corner of the eye to brighten up the whole look by using the clean side of the smoky shader brush above! Next step was to take the clean ZOEVA 227 Soft Definer brush and blend everything together for a flawless smokey eye. This was now definitely starting to turn into more of a dark blue/grey smokey eye then I had originally thought, so to emphasise that I used the Essence Gel Eye Pencil in Around Midnight as my eyeliner. 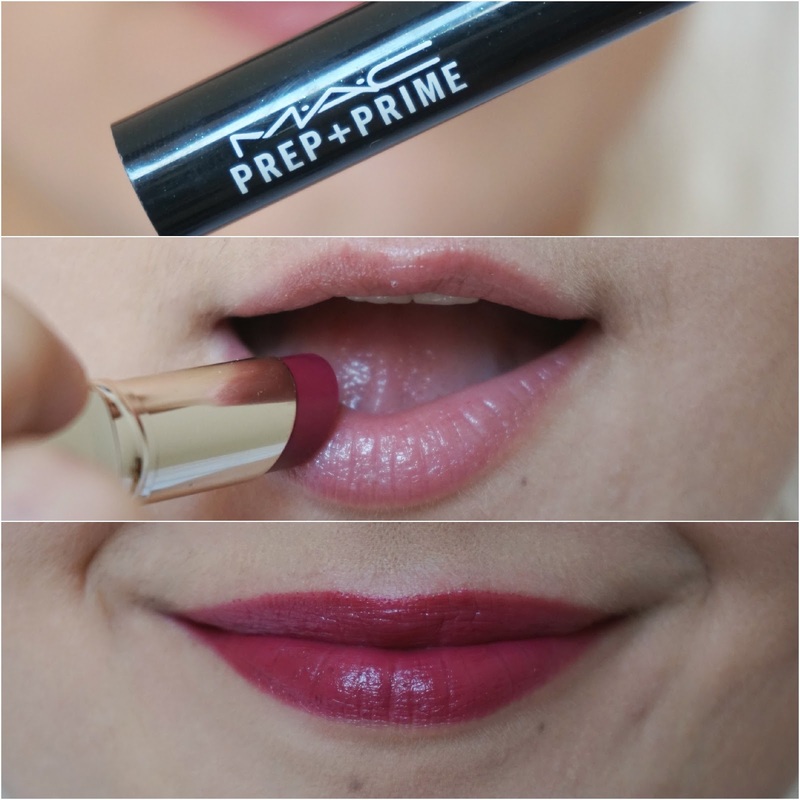 I used the MAC Prep + Prime Lip to make sure my lips were in the best shape possible to the dark berry lipstick. For the lipstick I decided to just go ahead and use the KIKO Ace of Diamonds lipstick in 27 Refined Burgundy. I didn't use a lip liner like it is recommended to do for a dark lip, because I wanted to test the lasting power of the lipstick on its own. I was highly impressed with how long this lasted on my lips before fading and I was also glad that the formula didn't dry out my lips. I won't go into too much detail on what I used for the rest of the makeup look as I wanted to focus mainly on the eyes and lips but here's a list of the products used to complete the look. And this is the finished look! 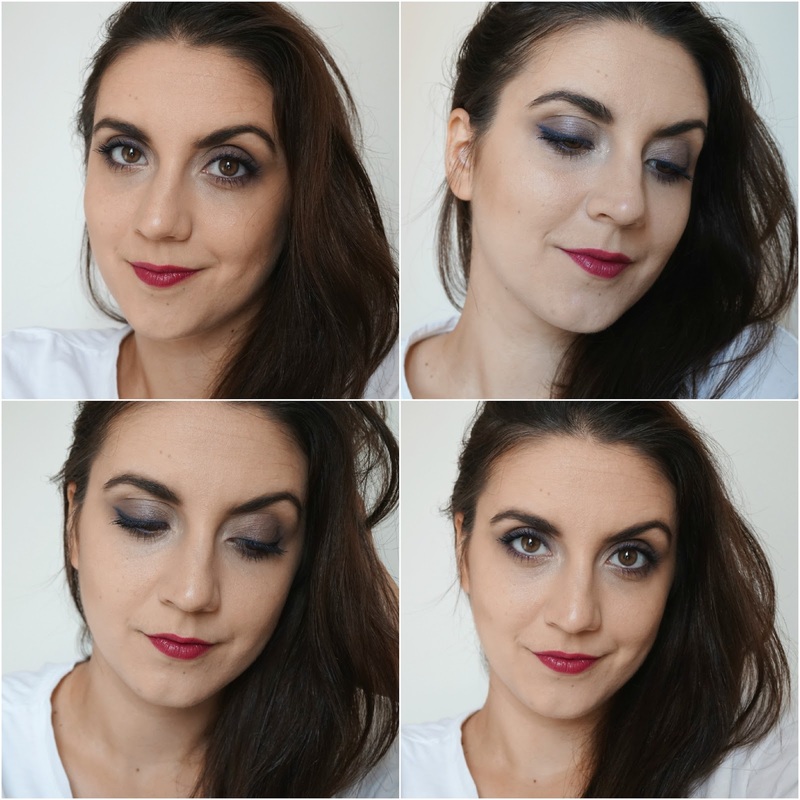 I love how the pop of navy/blue brings out my eyes and I am actually loving the dark berry lips. Hope you all enjoy my creation of an autumnal look even if it is a more heavy evening one! *Please excuse my wondering eyebrow, I honestly don't know why it does that without fail in every single photo (how embarrassing). Note to self next time I'm photographing myself: keep the eyebrows put!